If you are new to home buying, you will soon find out that most lending institutions require that loan applicants put 20% down when applying for a mortgage, or you will need private mortgage insurance. Of course, there are exceptions to this rule, of course, as some financial institutions will accept applications even in this turbulent home buying market with 10% down. Go online first and contact a couple brokers or several lenders through a service like LendingTree.com which will find you four mortgage loan offers. If you do not have the 20% down payment, then you will be required in almost every instance to buy private mortgage insurance which is also known simply as PMI. Private mortgage insurance is merely protection that is purchased to preserve the interests of the lending institution in case you default on your mortgage payments. If you apply for VA, FHA, or RHS funding, you normally will be required to buy private mortgage insurance as these government-backed loans usually do not require much in the way of a down payment. When applying for a loan, you will need to inquire about the criteria for the down payment. If the down payment is not substantial and you must buy private mortgage insurance, inquire about the expense. Ask what the premium each month will be and the terms. It might also be beneficial for you to ask about the requirements for dropping PMI when you reach the 20% equity threshold. If you are applying for a second mortgage or refinancing your home, you will need to obtain private mortgage insurance if the amount of your loan is above 80% of the appraised value of your home. You will also have to look at the numerous fees that can be assessed with respect to your mortgage application. Fees can include charges for processing the application, the origination fee, funding charge, attorney fees, document processing fees, broker charges, and the appraisal fee. Fees can be negotiated and you may even be able to convince the seller to assume part of the fees for the closing costs. Along with private mortgage insurance, charges can impact what you will end up paying overall. Therefore, it is important to scrutinize them carefully. All fees are negotiable, and it can really pay dividends if you double check what you are being charged. Go online first and contact a couple brokers or several lenders through a service like LendingTree.com which will find you four mortgage loan offers. That way, you can calculate what you can handle as far as a down payment. If you have not built up enough resources in order to afford a down payment, then there are loan packages that can still make it possible for you to own a home with little down. As mentioned, many government-backed loans do not require sizable down payments. According to the U.S. Census Bureau’s latest homeownership figures, less than 40% of people under 35 own homes and less than 60% of 35 to 44 year-olds own homes. There are many possible reasons for these relatively low homeownership figures, including skyrocketing home costs, the limited supply of homes on the market, more and more Millennials choosing to rent so they can focus on paying off student loans and building their savings, and tightened restrictions on mortgage lenders after the 2007 housing market crash. Homeownership doesn’t have to be relegated to the fantasy of the American Dream however; you can still make this a reality with low down payment options such as FHA loans, which typically require at least 3.5% upfront, as well as ongoing private mortgage insurance (PMI) to make up for the minimal equity you’d have in your home if you only put down 3.5%. With the stock market treading water lately, there are only a few options where you can earn a decent and guaranteed rate of return on an investment. You may actually think that any type of guaranteed rate of return is impossible in today’s market, but I have found one place where I can earn a great rate of return on my money…my mortgage. Paying off PMI can be a great return on your investment. Typically, you think about the interest you save when you pay off a debt. If you have a credit card balance on a card that charges you 16% annual interest, for example, paying that balance off is exactly like earning a 16% rate of return on an investment. Instead of paying your credit card company that percent in interest, your cash flow increases instead as a result of paying down that debt, and you can use that money for other ventures such as investments or building your emergency fund. One place that many of us do not consider very often is the private mortgage insurance that we pay on our home loans. If you do not put at least a 20% down payment on a conventional home mortgage, your lender will almost always require you to purchase private mortgage insurance, more commonly known simply as PMI. While the cost of PMI is not very expensive when compared to your total mortgage, taxes, and insurance payments on your home, these additional payments that are tacked onto your mortgage in escrow can begin to add up over time. It can be beneficial to pay off PMI. For example, a $200,000 home in which you paid 10% down and secured a mortgage of $180,000 for the balance would typically require approximately $100 per month to be paid for private mortgage insurance. This is again on top of your principal and interest payments. Not only will it cost you $1,200 per year in PMI payments that do not reduce your principle, but you will be paying those fees for the next six years until you get your equity to the magic 20% level where PMI can then be waived. PMI over those six years will ultimately cost you $7,200 over that time, and it can be a great thing to pay off PMI. But, what if you could pay more on your mortgage principle in order to reach that 20% level of equity faster? Would that be a good return on your investment? It turns out that it would. 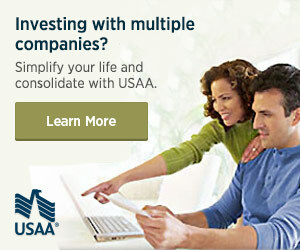 It would be a good use of your funds when compared without investment opportunities and their rates of return. If you had $20,000 available to invest in paying down your home mortgage, you could eliminate your need for PMI. You may think that $20,000 is a lot of money to pay in order to save only $100 per month. In fact, an investment in your mortgage to speed up paying off PMI would equal a 6% annual rate of return on that investment. And, that does not even include how much interest you would save by paying off a portion of your mortgage early. With that one-time investment in your mortgage of $20,000, you could ultimately pay a 30 year fixed rate mortgage off in as little as 22 years instead of thirty. That alone could also save you tens of thousands of dollars in mortgage interest payments. I know what a lot of you are probably thinking. There is no way that you have $20,000 just lying around to invest in paying down your mortgage. But, maybe you have a few thousand dollars that you can use to pay down your mortgage right now. Maybe you can sell a car that you really do not need. Maybe, instead of it taking you six years to reach that 20% equity level, it only takes you three years if you really attack your mortgage payments. Are you paying more than your minimum monthly payments on your mortgage? By even adding a little bit towards each monthly payment, you can end up shaving years off the total amount you pay for your mortgage. To continue using the example from above, you can pay a 30 year mortgage off in as little as 25 years if you add $100 to each of your monthly mortgage payments. While the economy seems to have hit a skid and the stock market is spinning its wheels, there are other alternatives to investing that you can pursue that will earn you a decent rate of return on your money. There are unique ways to earn a competitive interest rate if investing is not providing you with a large enough rate of return. If you are middle or lower income and cannot swing 20% down, count on including private mortgage insurance in your mortgage payments. PMI is just one of those necessary expenses you must assume for securing a loan with a lower down payment. Aside from covering your immediate family members with auto, health, and life insurance, could you imagine paying for monthly insurance that doesn’t even cover you? That’s how PMI works – as the Consumer Financial Protection Bureau explains, PMI is designed to protect the lender in case you default on your mortgage loan with minimal equity built up in your home, but if you fall behind on your mortgage payments, then you could still face foreclosure on your property. What does this mean for you? While you had the advantage of putting a down payment on a home without the usual 20% amount upfront, you could still be at risk of losing your home if the subsequent monthly payments are too high for your income to cover. Just because it’s called “private mortgage insurance” doesn’t mean you have additional protections during rocky financial periods of your life, so striving to accumulate enough equity in your home to get rid of PMI payments should be a top priority for borrowers. How Does PMI Impact Your Finances? If you want to save money on your mortgage, then finding room in your budget to make extra payments towards your mortgage principal is the quickest way to rack up enough equity in your home to get rid of mandatory PMI. Rates typically vary for PMI, though you can expect to pay 0.5-1.0% annually, based on the entire loan amount (e.g., a $300,000 loan with a 1.0% APR would equate to $250 per month or so in PMI payments on top of your usual mortgage payments). On the bright side, PMI has been tax deductible for some American homeowners in previous years. The Protecting Americans from Tax Hikes Act of 2015 extended the itemized PMI tax deduction benefit in 2016 to married couples with an adjusted gross income of $109,000 or less, or single filers and married-filing-separately folks with an adjusted gross income of $54,500. Whether this tax deduction is available in future years depends on Congress’ approval of it (and now that the housing market is booming, it appears less likely that this will happen but not impossible). Some financial experts view primary residences as assets, while other experts view them as liabilities. Depending on what stage you’re at in home ownership, it could be an asset or a liability. When you have PMI, your primary residence is most certainly a liability. PMI requirements indicate you haven’t surpassed the minimum threshold of equity to rid yourself of PMI – 20% of your home’s appraised value – which means you’re not only in the process of paying off the mortgage itself, but you’re paying for PMI, maintenance, repairs, property taxes, and homeowners insurance as well. Once you’ve built up significant equity in your home, however, both the equity and paying off PMI could be considered assets. To get higher rates of returns, getting rid of expensive payments for PMI that offer little benefit to you beyond qualifying you for a lower down payment on a home is one of the best strategies a homeowner can do. When you’ve accumulated 20% of your home’s original appraised value, then you could submit a request to your mortgage lender to remove PMI from your ongoing payments. Regulations require mortgage lenders to get rid of PMI as soon as you’ve accumulated 22% of your home’s value, but that extra 2% can make a difference of hundreds of dollars if you let them cancel it for you, so be sure to take advantage of mortgage savings and get rid of PMI as soon as you hit the 20% margin. Have you bought a home and had to get private mortgage insurance too? Did you pay extra to try and get PMI over with as fast as possible?